No other circuit on the F1 calendar is quite as evocative as the Autodromo Nazionale Monza. 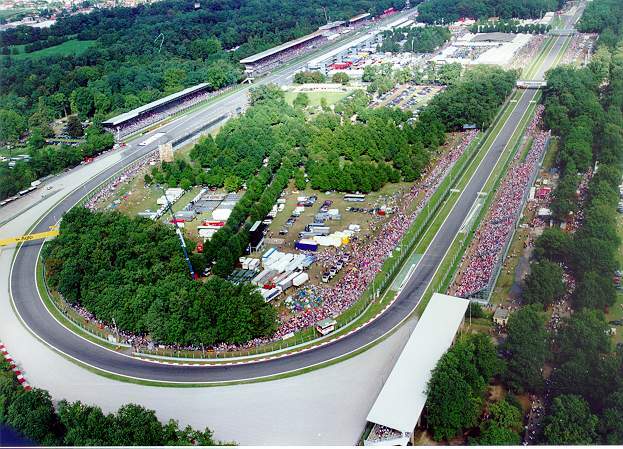 Indeed no other circuit has played host to a Grand Prix as many times as Monza, with a race having taken place here nearly every year in the history of Formula 1 since 1950, with the exception of 1980 when the race was held at Imola. It has seen its fair share of tragedy, unsurprisingly given the high speed nature of the circuit, most notably in the 1961 event where the Ferrari of German driver Wolfgang von Tripps crashed into an embankment at the Parabolica corner, killing himself and 14 spectators. The track is considered the spiritual home of the Scuderia Ferrari, who have had the most victories at the Italian Grand Prix, the most emotional being the 1988 event where Gerhard Berger led home a Ferrari 1-2 just months after the death of team founder Enzo Ferrari. This was made even more special seen as it was the only race of 1988 not to be won by McLaren. The circuit is a shrine for the passionate “tifosi” who line the circuit year on year cheering on the team in red without fail. Monza is a unique circuit on the F1 calendar, given that the layout consists mainly of long straights interrupted by slow, brake-boiling chicanes and some medium speed corners. This gives Monza the highest average speed over a lap than any other track on the calendar, with an average speed of approximately 160 mph over a lap. This means that teams run their cars with the lowest levels of downforce seen all year, using an aerodynamic configuration on the cars which is solely designed for use in this event and no other. 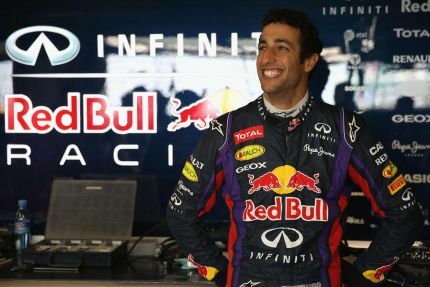 In the paddock the big news is the confirmation of Australian driver Daniel Ricciardo as the replacement for his compatriot Mark Webber at Red Bull for next season. This means that next season will see the team of drivers made up of graduates of the Red Bull young driver programme for the first time, with Sebastian Vettel having made the step up from Toro Rosso to the senior Red Bull team in 2009. Red Bull are yet to announce Ricciardo’s replacement at Toro Rosso, but you can expect this to either be Portuguese driver Antonio Felix da Costa, currently racing in the Formula Renault 3.5 series and also the current reserve driver for Red Bull Racing, or Spanish driver Carlos Sainz Jr., currently competing in the GP3 series, and also the son of former World Rally Champion Carlos Sainz Sr. Both drivers are members of the Red Bull junior driver programme, and both have tested a Red Bull F1 car at numerous young driver tests in the past. 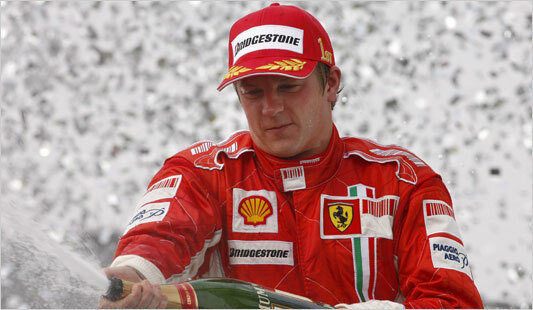 The other “silly season” rumour currently doing rounds of the paddock is that Kimi Raikonnen could possibly return to Ferrari in 2014. Raikonnen won the drivers championship with the Italian outfit in 2007, but was given the boot at the end of 2009 to make way for Fernando Alonso. Many feel this would be a bad move for Raikonnen because of his unsteady relationship with Ferrari president Luca di Montezemelo, though Raikonnen has insisted there are “no hard feelings” between the two parties since they went their separate ways at the end of the 2009 season. Raikonnen’s current team, Lotus, have made it clear that the Finn is happy where he is, and are hoping to retain his services for the 2014 season. Sunny and dry conditions were the order of the day as free practice one got underway, and it was Lewis Hamilton who was fastest in his Mercedes ahead of the crowd favourite Fernando Alonso, while Sebastian Vettel put his Red Bull into fourth, giving some hope that the German’s dominace of the previous race in Belgium would not be repeated. This notion was soon dispelled after free practice two, where much to the alarm of the rest of the paddock Vettel lead a Red Bull 1-2, but with a time that was six tenths of a second faster than his team mate Mark Webber. Even more troubling was the speed and consistency of Vettel’s laptimes and his general long-run pace when he undertook a high-fuel run in the latter stages of FP2, which was significantly better than anyone else. It was a relief then, that behind Vettel in the timesheets there was only 3 tenths of a second separating the next 5 drivers, boding well for an exciting qualifying session. There were also a number of good examples of the compromises made on car setup by the teams, where the emphasis is on straight-line speed and not on downforce, as is the case at most other tracks. This was highlighted by a number of high-profile drivers taking excursions off-track into tarmac run-off areas and gravel traps, such as Lewis Hamilton missing his braking point into the second chicane and clumping his car over the speed bumps in the run-off area, Fernando Alonso getting the second Lesmo corner all wrong and throwing his Ferrari momentarily into the gravel trap, and Kimi Raikonnen having a high-speed moment as his Lotus went off into the gravel at the exit of the Parabolica onto the pit straight. They were not the only drivers to make errors, as several other drivers such as Romain Grosjean, Jules Bianchi and the Williams duo of Pastor Maldonado and Valterri Bottas went through the gravel at various stages of the two sessions. As we head into Saturday, the general consensus is that Sebastian Vettel is once again the man to beat, though you can expect that the qualifying kings of 2013, Mercedes, will make sure he doesn’t have it all his own way in qualifying. Expect Ferrari to be pushing hard as well, don’t forget this is the most important weekend of their season, with many Italian media outlets labelling this as a “must-win” race for the Scuderia on their home track. 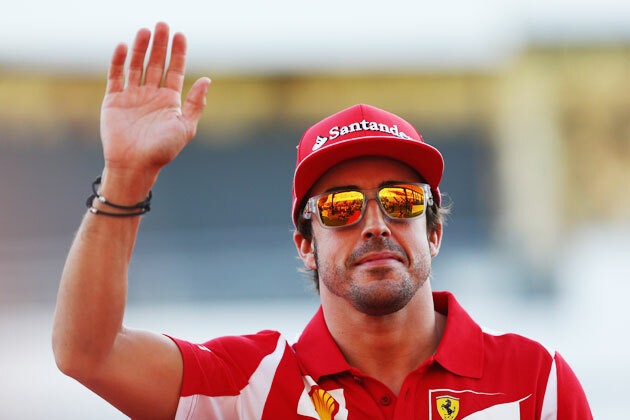 Alonso will be trying to get his title challenge back on track, while his team mate Felipe Massa will be going all out to prove that he still has what it takes to represent the Prancing Horse, and fend off the heavy opposition for his 2014 seat. Lotus should do well if the warm temperatures continue, as their car is quite light on tyre wear, though it won’t be a surprise to see other teams easier on their tyres than usual, as Monza isn’t a particularly difficult circuit for the tyres to cope with. Pirelli have brought their two hardest tyre compounds, the medium and the hard compound, so you can expect there to be a one-stop strategy in play for the majority of the teams, if not all. But all this goes out the window if there is an additional variable of rain on Sunday. The weather forecasts a strong chance of thunderstorms come Sunday afternoon. Given that all teams go for the same low downforce set up here to excel in dry conditions, rain at Monza makes the race a complete and utter lottery unlike any other race on the calendar. If one team decides to forego its qualifying pace in favour of a high downforce setup for wet conditions in the race, a poor grid position after a dry qualifying could turn into a race winning scenario for an unfancied team if the rain indeed arrives. Wouldn’t it be fantastic if McLaren could celebrate their 50th anniversary with a win in what has so far been a barren season? 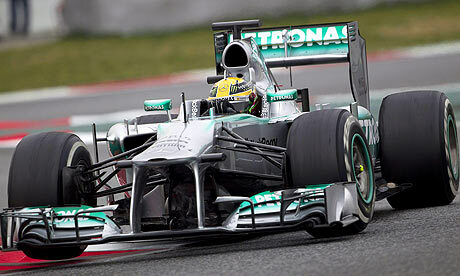 Or if Force India could plot their way to a podium return that has been four years in the waiting? 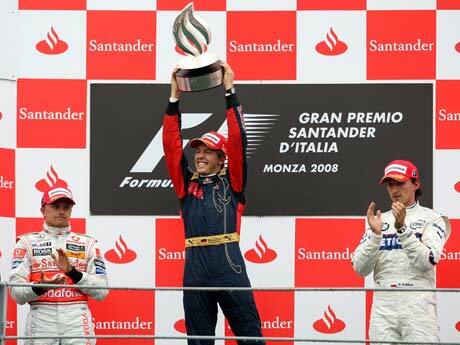 After all, the last time the heavens opened on race weekend at Monza in 2008, who became the youngest ever driver to claim his first pole position and his maiden win in monsoon like conditions in a completely unfancied Toro Rosso? A young German go-getter by the name of Sebastian Vettel.